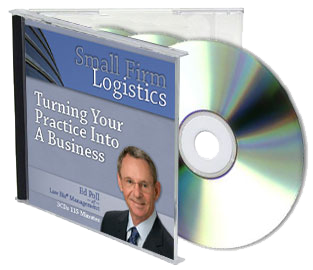 In this three disc set, law firm management expert Ed Poll presents selections from some of his most popular presentations. These selections provide you with the insightful strategies and tactics you need to turn your practice around, earn the living you deserve, and find satisfaction and fulfillment in the career that you've worked so hard to build for yourself. 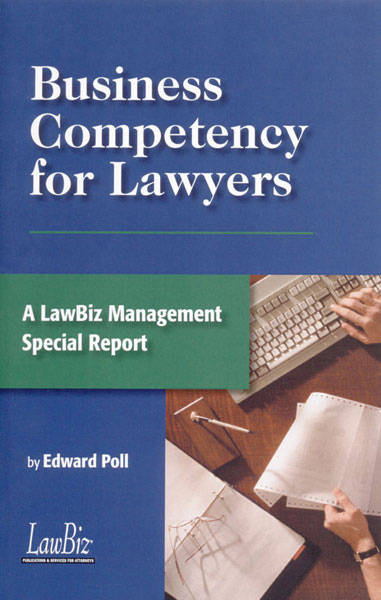 Ed believes that lawyers need to learn to think more like entrepreneurs and act more like business managersâ€”two skills not taught in law school. In the opening segment, Ed discusses the importance of a written business plan and shares with you how lawyers should approach this task so that you realize the benefits without doing more work than you need to. Smooth client relations and stellar client service are the focus of the second segment, so that the engagement is productive and mutually profitable. Ed tackles financial management in the final segment. He will help you sort out cash flow management, revenue, and overhead in the way that a small firm needs in order to understand these challenging aspects of managing a practice. 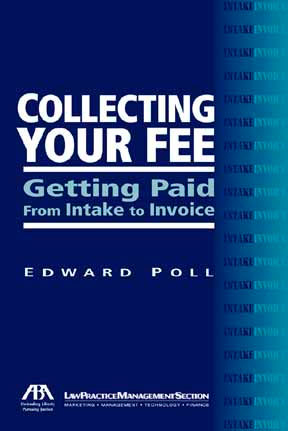 A down-to-earth guide for lawyer to collect their unpaid bills. The book is full of practical advice. In this follow-up companion volume to Ed Poll's highly praised first Secrets collection, you'll learn how to be even more efficient, more effective and more profitable in your practice. 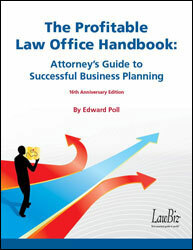 Providing attorneys and law firms specific and practical suggestions for being more effective and making more money in the process. © Edward Poll & Associates, Inc. All rights reserved.